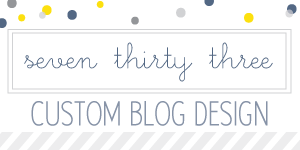 thinking they would inspire a little "something or other"…and they did! 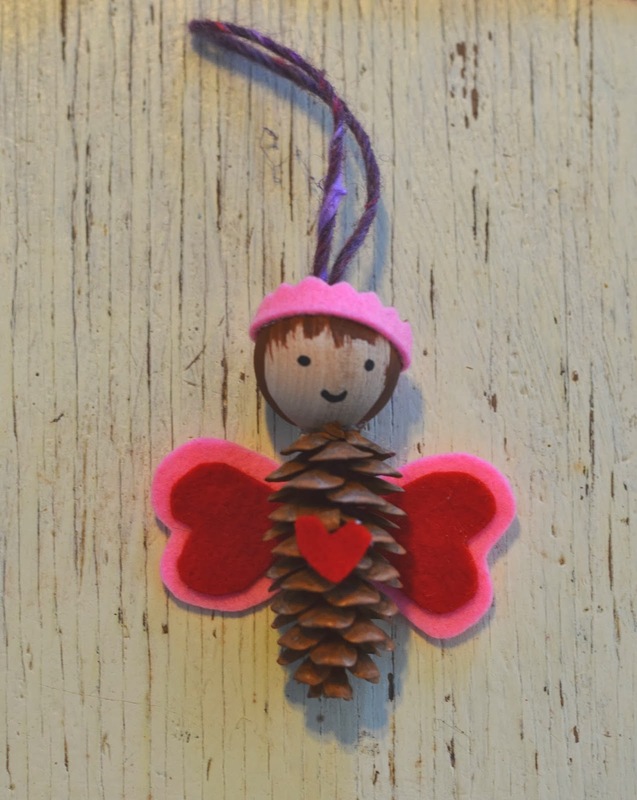 Pinecone love fairies…just in time for Valentines Day! 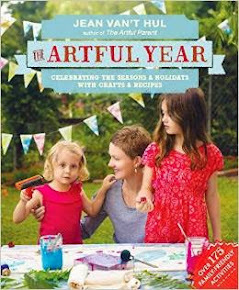 To start, paint some faces on your wooden beads. 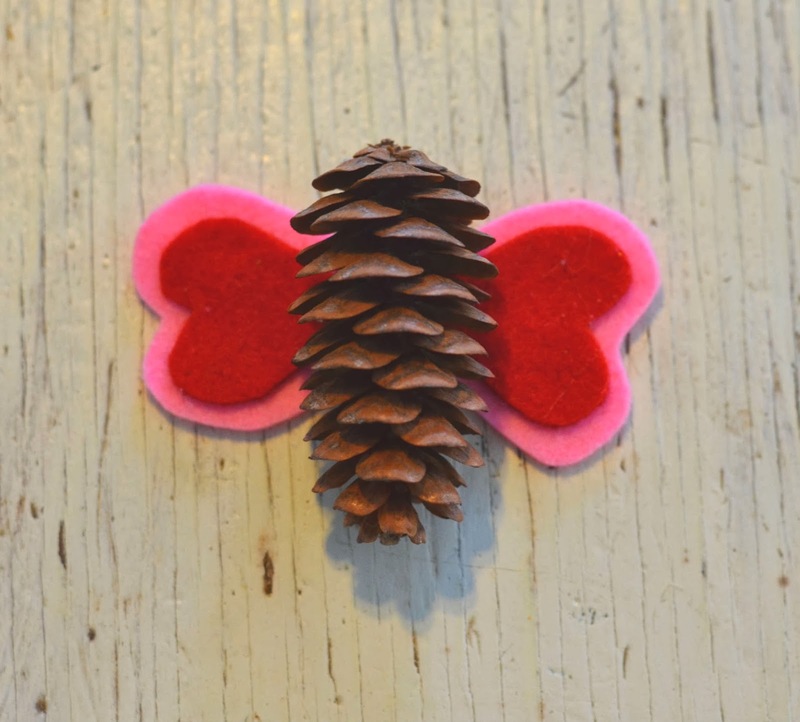 Now using your glue gun, glue the wings onto the back of your pinecone. 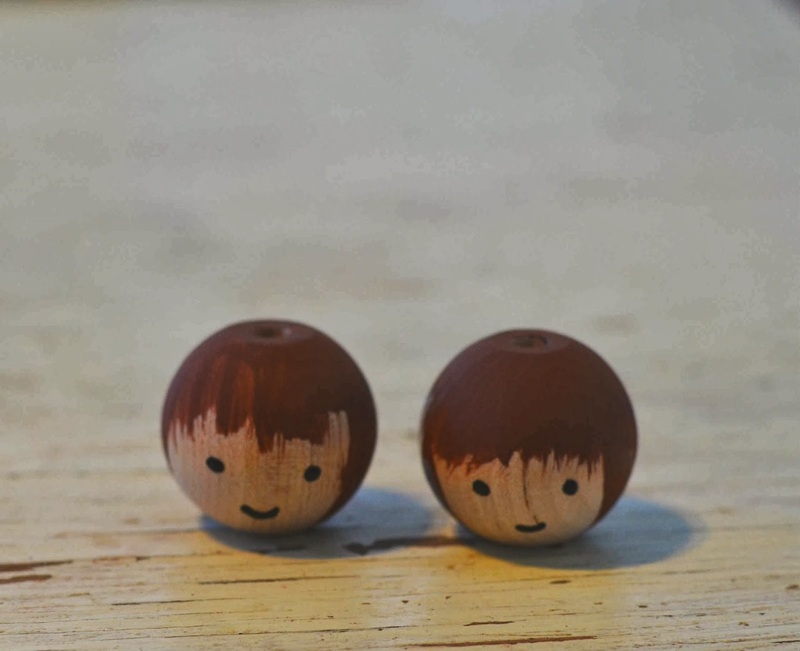 Thread a piece of yarn through your wooden bead "head" and glue into place. 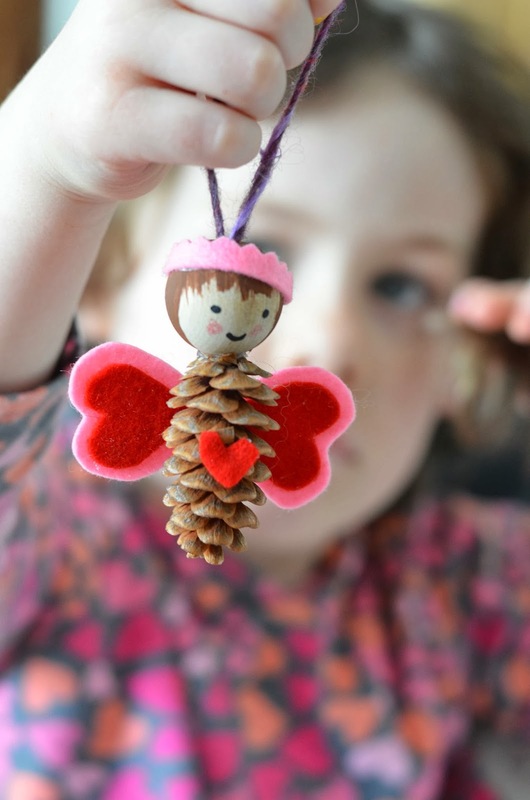 Glue this onto the top of your pinecone. Embellish to your hearts delight…we added a little pink crown and a heart on her belly! After all she IS a little LOVE fairy! I always like to add a bit of pink on the cheeks as well…I use a beeswax crayon for this. a sweet little LOVE fairy who is sure to spread LOVE where ever she may be! What a precious fairy! 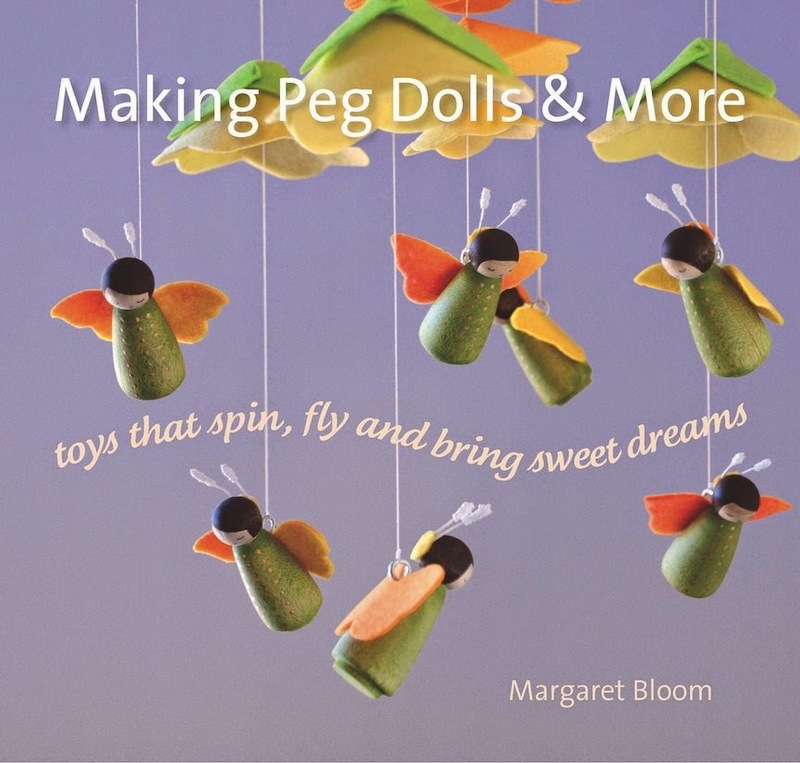 I am pinning it to my To Make with Children board on Pinterest to spread your fairies there. Thanks for spreading love with these wee fairies. 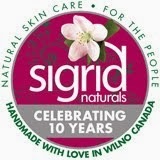 What size do you suggest for the wooden beads? Do you varnish them? 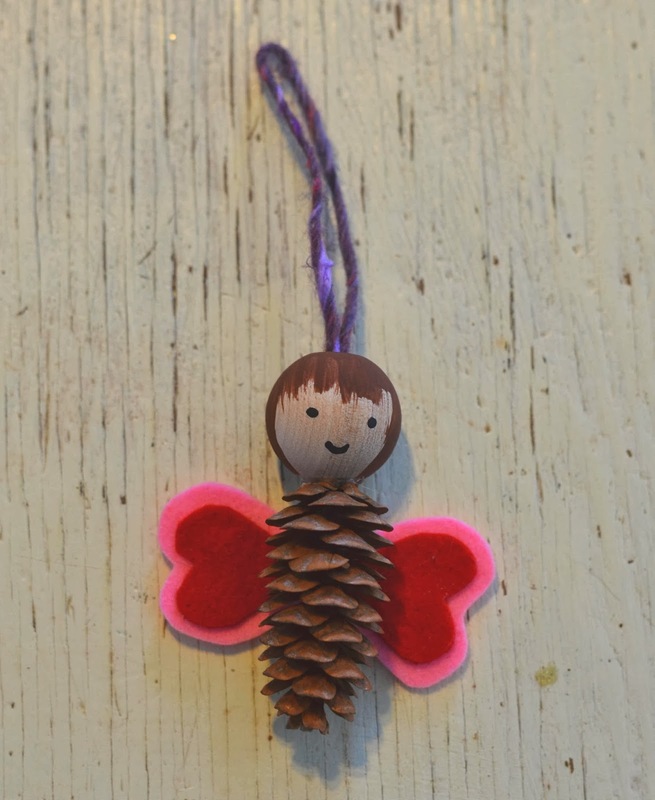 For these I used 1/2 inch size…but if you use a bigger pinecone you may want a bigger head. And no…I don't varnish them…I find the paint holds very very well without using varnish. So, so adorable! My daughter would love making these! 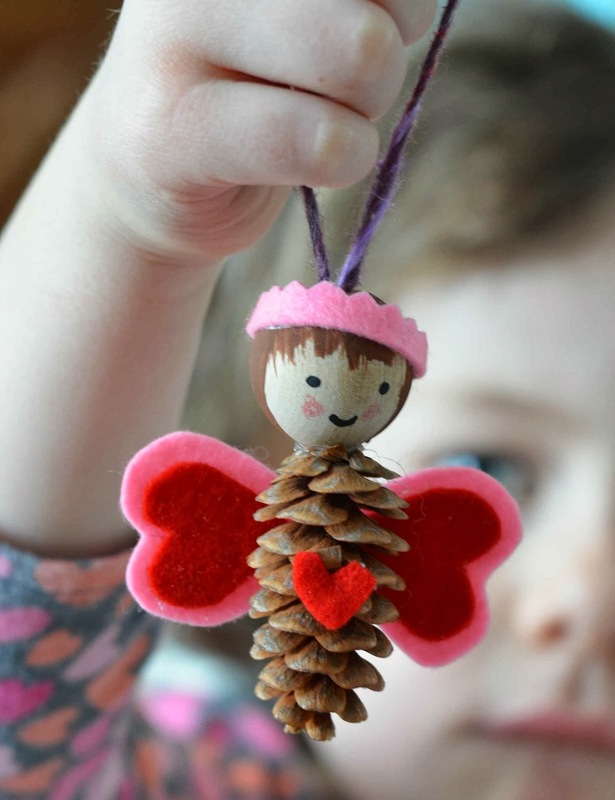 I have seen so many pinecone crafts, but I love the addition of the wooden head. It's so precious! 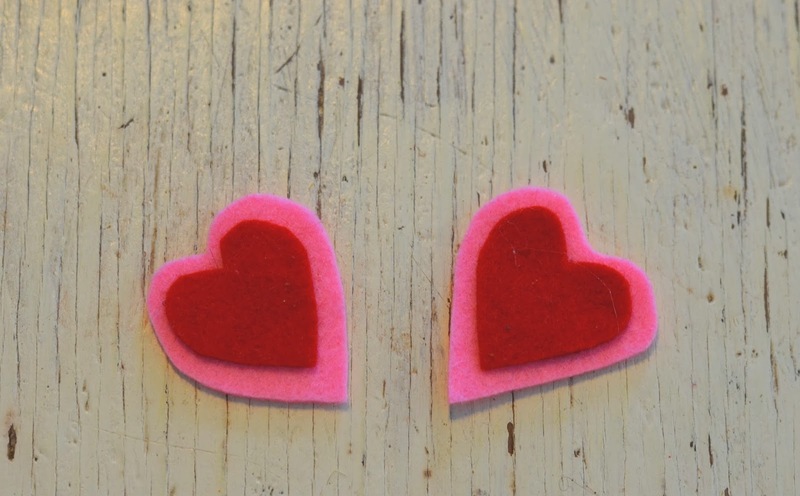 Share the LOVE Top 10 Valentines Day Crafts!!! A Warm Fuzzy for Valentines Day!